KUALA LUMPUR (March 21): RHB Research Institute Sdn Bhd has upped its gross domestic product (GDP) growth forecast for Malaysia in 2017 to 4.5% (from 4.2% in 2016). In an economic outlook note today, the research house said Malaysia’s real gross domestic product (GDP) growth picked up for the second straight quarter in 4Q16, supported by a stronger recovery in exports. 3. Fiscal spending, which could help growth instead of being a drag,” it said. 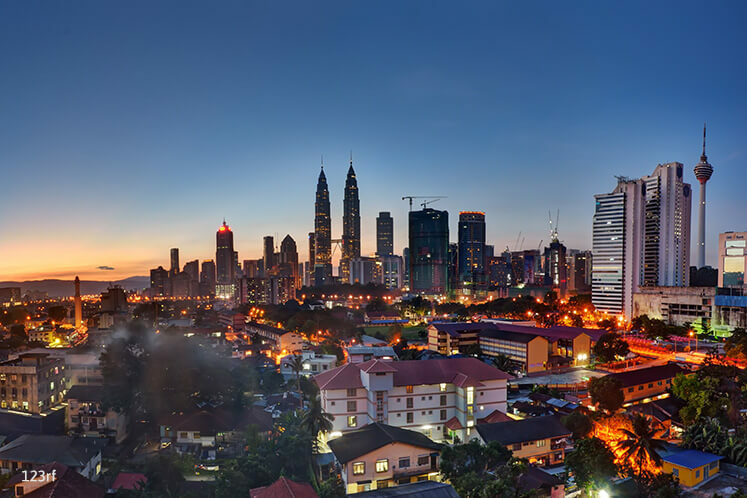 The research house said Malaysia’s domestic demand is expected to pick up to 4.7% in 2017 from 4.4% in 2016 on account of a pick-up in private investment on the back of infrastructure spending, a rise in public sector spending due to higher oil revenue and resilient private consumption. The research house said that on balance, it sees global economic growth picking up to 3.3% in 2017 from 3.1% in 2016 and 3.2% in 2015. “This would ultimately lead to stronger global trade activity. “As it stands, the World Trade Organisation projects the global merchandise trade to expand by 1.8-3.1% in 2017, recovering from -2.7% in 2016 and -11.8% in 2015. “This bodes well for Malaysia’s exports, given that it is a country with trade making up almost 130% of GDP,” it said.